Player of week history 2016/17 | Yankee United F.C. Player of the week honors goes to newcomer attacking outside back Anna Landler (Ridgefield ) whose overlapping run and cross lead to the winning goal in the Yankee 3-2 win on the final day of the NYC Cup College Showcase Tournament. Yankee United Striker Sophia Kenny is a stand out player for Pomperaug High School contributing to their impressive 7-0-0 season thus far. Sophia scored 4 goals in the first half of Pomperaugs game against Naugatuck on September 23rd. Pomperaug went on to win the game 6-1. Niagara University women's soccer goalkeeper Shangyne Samuels has been named the MAAC Defensive Player of the Week announced on Monday. Samuels (1-0-0) made her first career start in the Purple Eagles' 3-0 shutout of Quinnipiac, the MAAC's top-scoring offense, on Saturday, Sept. 24. Samuels recorded a career-high seven saves against the Bobcats. The Purple Eagles take the pitch next on Wednesday, Sept. 28 when they take on cross-town rival Canisius in the teams' annual Battle of the Bridge meeting at 7:00 p.m.
Zoe played an important role this weekend at the NEWSS Tournament in Long Island. The Yankee 04's went 2-1-1 and Zoe did a great job and scored 3 goals in all 4 games. Zoe also came out of the game with a bloody nose after she sacrificed herself on a tackle. She got right back, got cleaned up, and went right back in the game. Coach Rui states, "Zoe has adjusted well to her new position as a forward. She is a great presence up top and does a great job holding the ball for us and distributing the ball. I have high hopes for Zoe and as long as she continues to work she will be a very dangerous player." Maddie scored an exceptional goal at the NEWWS tournament for Yankee United's U15 2002 team against Massapequa Rowdies to advance YUFC 02's into the finals. The U15's went 2-0-1 to finish first in the top bracket. Coach Jack states "Maddie controlled the midfield all tournament long and worked relentlessly throughout all four games, her goal against Massapequa sealed our team a 1-0 victory that pushed us through to the finals!" 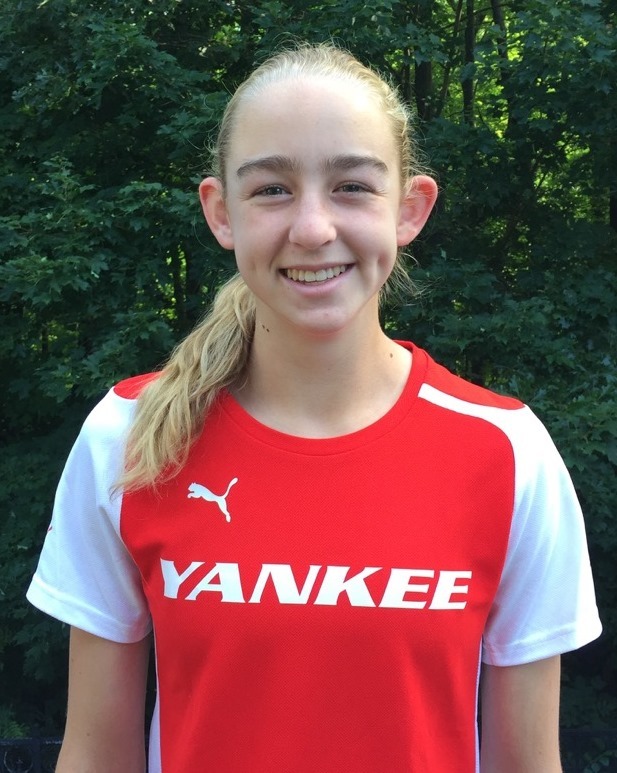 Ashley Wright, from Westport, was selected for YUFC Player of the Week due to her impressive performance at the Manhattan Kickoff Showcase Tournament. Ashley scored goals in all three games including two in the 3-2 win over FC Boston Scorpions NPL, including the game winner. She also scored the game winner in a 1-0 win over Albertson Fury NPL 01 and the tying goal in the 1-1 tie vs. FC Holmdel FC NJX Crew. Overall, she scored 4 of the 5 goals the team scored. The Yankee United F.C. Flash U16's won their the top showcase bracket with a 2-0-1 record. 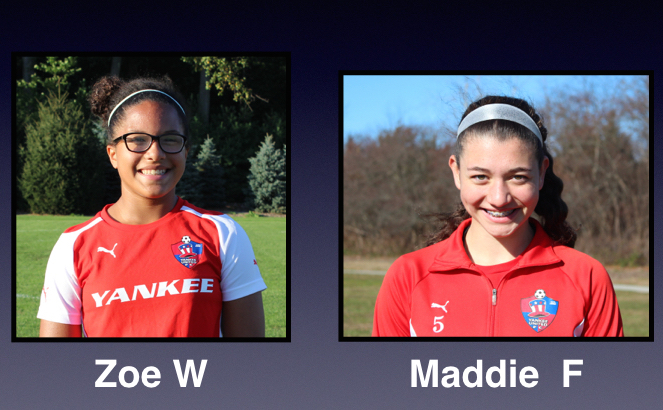 Chelsea Dommond scored 4 of the 5 goals in Yankee United Revolutions 5-1 win over NEFC on Sunday 4/30. Hanah Silva played a significant role this past Sunday in Yankee United 2004's beating the Bayside Bolts, 3-2. Hanah did a great job defending and getting our offense started out of the back. She made great decisions when winning the ball from the opposing team and at times took players on to get the ball into the offensive third. Hanah just recently came back from an injury and to come back with a strong performance says a lot about how resilient she is. 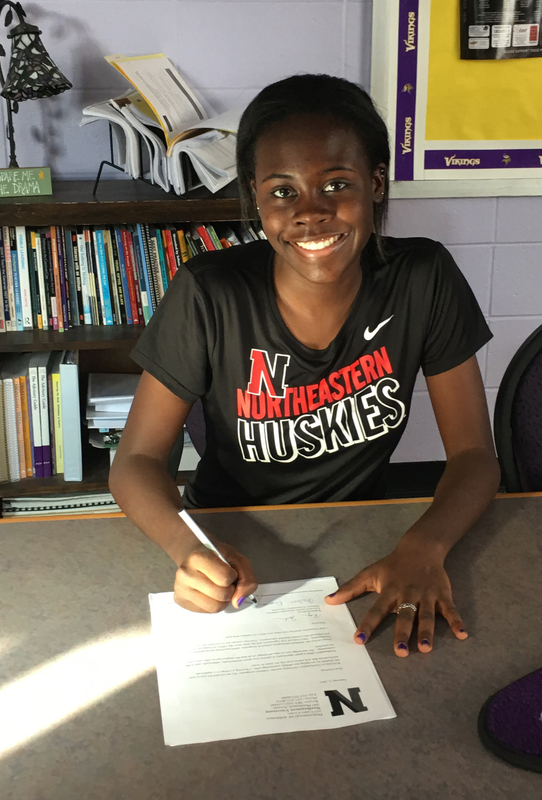 Coach Rui states, "Hanah is a fun player to watch and I can put her in many different roles. Her technical ability brings a lot to this team. I have strong aspirations for Hanah in the years to come."